When I was growing up in the late 1960s, Dad, who did the grocery shopping every Saturday morning, didn’t think twice about putting Cap’n Crunch on the list, unless it was to ask if I wouldn’t rather have Quisp. 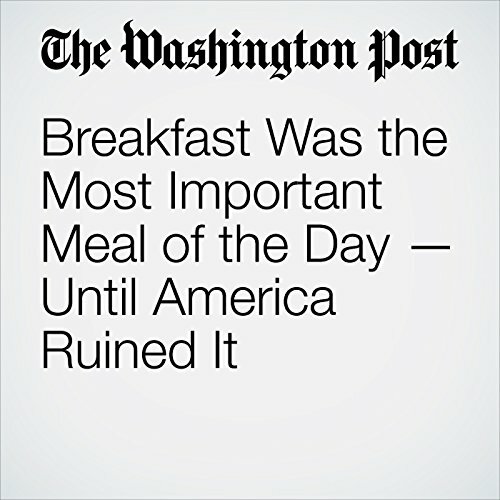 "Breakfast Was the Most Important Meal of the Day — Until America Ruined It" is from the May 15, 2017 Lifestyle section of The Washington Post. It was written by Michael Ruhlman and narrated by Sam Scholl.